Armed with a slab top, electrifying angular shape and lightning-fast neck. X Series Kelly models exude metal sophistication, while also delivering massive sound and reliable performance at an exceptional value. The KEX features lightwood and resonant poplar body-wings, one-piece through-body maple neck with graphite reinforcement and scarf joint, and a 12”-16” compound radius laurel fingerboard with 24 jumbo frets and pearloid sharkfin inlays. Ready to roar, the KEX is also equipped with a pair of volcanic Jackson high-output humbucking pickups, single volume and tone controls, three-way toggle switch and a Floyd Rose Special double-locking tremolo system, providing amazing tone, exceptional dynamic response and reliable performance. The KEX is available in Gloss Black with eye-catching gold hardware and white binding along the body, neck and Jackson pointed 6-in-line headstock. Case sold separately. 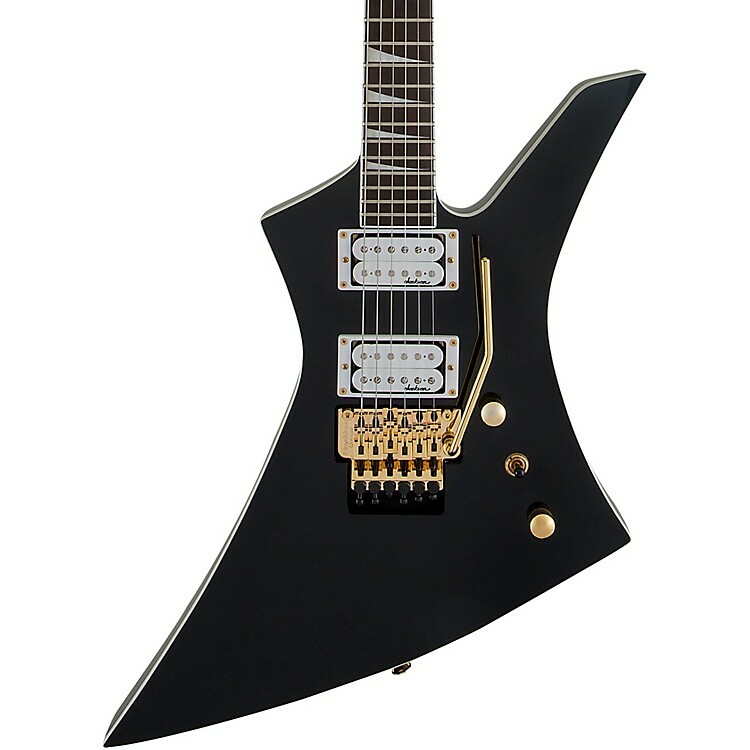 Order this amazing Jackson and own the stage.